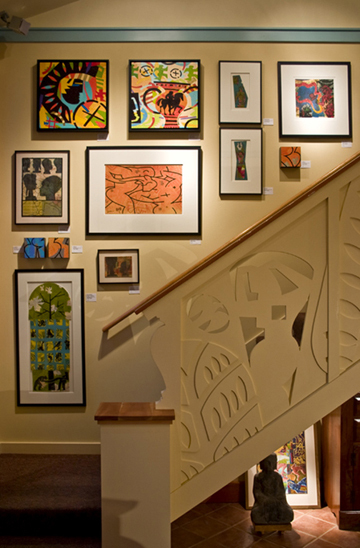 Here is another shot of my artwork as displayed for the 2010 Vashon Island Holiday Open Studio Tour with details of a print and painting featured at the staircase. 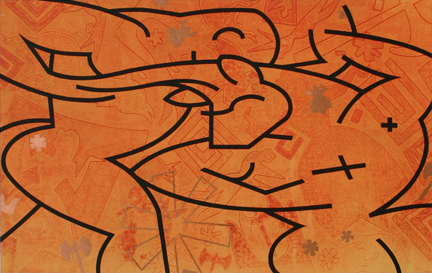 Theseus and the Minotaur, Monotype, 14 1/4 x 22 3/4 in. 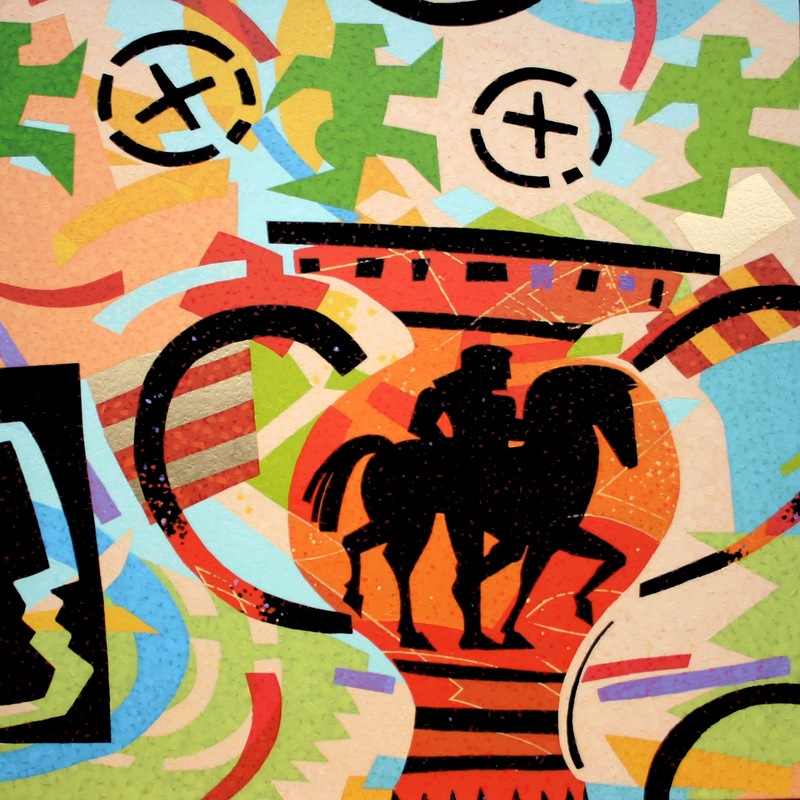 Taming Bucephalus, Oil on canvas, 20 x 20 in.